There is lots to do in our up-and-coming city, from historic tours to fishing. And Watertown is so welcoming, that several other attractions offer low cost or free admission. We also have plenty of places to stay the night, so you can make a long weekend of your trip. Explore the city and natural surrounding areas that inspired several of Terry Redlin’s paintings. Many of the landmarks and settings Terry referenced can still be seen in Watertown today. Download our map to help you explore our city with an artist's point-of-view. Terry’s story expands throughout the Watertown community—including the zoo! A recent addition to the zoo, the Terry Redlin Environmental Center features learning spaces and aquariums with both native and exotic species. Discover over 800 mammals, amphibians, reptiles, birds, fish, and invertebrates. You can even get up-close during our weekend animal encounters. The entry fee includes access to the zoo and Terry Redlin Environmental Center. Visit BrambleParkZoo.com to plan your next family adventure. Learn about the history of the town where Terry Redlin grew up. Located in Uptown Watertown, the Codington County Heritage Museum contains exhibits about the County’s past. The museum houses local artifacts, paintings, prints, textiles, manuscripts, and more than 3,000 photographs. Children are also welcome to take part in fun museum activities. Admission is free, but donations are always appreciated. Take a trip back in time at CCHSMuseum.org. The Mellette House is the former home of Arthur Mellette—the last governor of the Dakota Territory and first governor of South Dakota. During the 1880s and 1890s, many social gatherings graced this beautiful home. Fully restored and furnished, the interior design resembles the original Mellette family decor. The Mellette house is open May through October. Admission is free, but donations are welcome. Experience more old world charm at MelletteHouse.org. Spend a day boating, fishing, or swimming at one of our beautiful lake recreation and camping areas. Located right outside the city, both Kampeska and Pelican offer activities on and off the water. Play basketball or volleyball on our outdoor courts. Rest on the sandy beaches of our 5,000-acre lake. Hike over 5 miles of nature trails. In winter, enjoy ice fishing and cross-country skiing. Call 605-882-6290 or 1-800-710-CAMP to book a campsite or inquire about Watertown’s outdoor activities. Learn more about the city of Watertown in our visitor’s guide. Get a copy of the Watertown Now magazine to help plan your getaway to the Redlin Art Center and other local attractions. Several local sites inspired Terry’s paintings, most of which you can still see today in Watertown. Learn more about these paintings in the Collection. From out-of-town and need a place to stay the night? 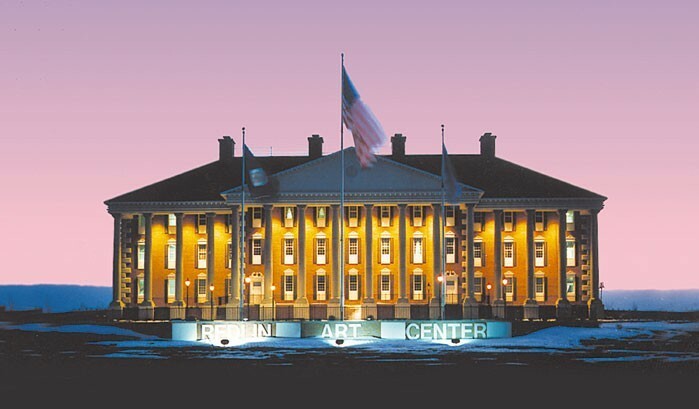 Guests of Redlin Art Center can choose from many lodging options. Visit the Watertown Convention & Visitors Bureau website to learn more about nearby hotels and campgrounds.